Just like the story of Tim Tebow, you needn't follow sports to have heard about the the insane (or, Linsane) run Jeremy Lin has had lately. There is no denying that Lin's story is one for the ages. Yet Lin's emergence on the scene, and his odds-defying streak, are not the only things he has in common with Tim Tebow. Like Tebow, Lin has people wondering if God is meddling in sports affairs here on Earth. The Tebow comparisons don't stop there. Lin and teammate Landry Fields have a pre-game handshake routine involving "a mimed reading of the Bible, followed by a mutual point to the heavens." Fields stated, "God is good. He's doing miracles in his [Lin's] life, and I'm just glad to be a part of it." While Tebow and Lin are not the first athletes to publicly credit God for their performances (both during and after the game), they certainly are the only two in recent memory who have received such attention for their faith. Take David Ortiz, who had a similarly miraculous ascension after he was traded to the Boston Red Sox, has always pointed to the heavens after every home run. He has praised God in interviews. And he won the World Series. Twice. Yet his performances, often 'miraculous' (17 walkoff hits with the Red Sox, including 12 walkoff home runs) never resulted in anything remotely close to the religious fervor associated with Tebow-mania or Lin-sanity. Ortiz is only example. The Tebow-Lin narrative reflects the centering of whiteness. 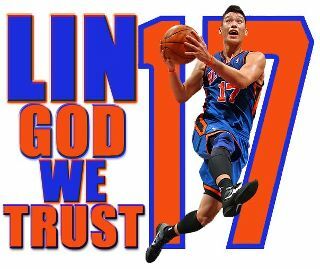 In making the comparison, religion in sports and even Lin’s ascendance becomes all about Tebow. While black athletes have long given “thanks,” the efforts to construct Tebow as the source of a religious revival within America’s sports world is a testament to the wages of whiteness. “Black athletes who give a shout out to God aren’t seen as being evangelical but when someone like Tebow (i.e. white) does it, there’s a different ‘purpose’ being read into it,” notes Oliver Wang. “With Lin, I’d argue that because Asianness is coded as closer to white than Black, the Tebow comparison becomes almost automatic.” Wang highlights the profound impact of the comparison as it not only elevates Tebow as leader of the religious revolution of sports, but also furthers the coding of Lin as white body. Through the comparison, we witness the profound ways that the media erases race by denying Tebow’s whiteness all concretizing Lin’s whiteness (of a different color). Represented through a dominant white racial frame despite his being subjected to racist taunts throughout his career, the comparison denies the power of race. It erases the ways in which whiteness serves as an anchor for the media sensationalism and celebration of Tebow; it erases the ways in which race and identity functions with the source of pride Lin’s has delivered for Asian American community or the ways in which Lin operates in relationship to narratives of whiteness; and finally it ignores the profound ways in which the celebration of their religious ideals and practices is overdetermined by the meaning of blackness within contemporary sports culture. So while the varied meaning of race, their experiences, and their identities render a Tebow comparison null and void, making one wonder why Lin isn’t the new Avery Johnson or Hakeem Olajuwon, the ubiquitous conflation of Tebow and Lin illustrates its power and appeal. With Jeremy Lin we are all witness to a post-racial fantasy amid the racial spectacle of contemporary popular culture. Within American sports media, the God squad remains one defined and contained by race. Tomorrow's estimate included downpour, snow and sharp winds. 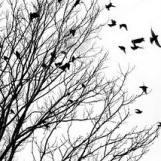 Today was nippy and windy however no downpour or snow. The garden should have been cut for the last time this fall. I should do it today. Ugh! Packaged up from head to toe, I tumbled out the way to the shed to haul out the cutter. Once the trimmer was out of the shed, I ensured the begin switch was turned accurately and gave the rope a draw. Tebow was not the starting quarterback of the Broncos, with good reason. He was and still is a rookie in the NFL and it doesn't matter if he was the star of NCAA football, it is still not the NFL.